When working with miniature displays and models, you need to position tiny items to keep them secure while you work. Often, figures cannot hold items in their hands or you cannot get an accessory to fit in position as it would naturally. Luckily, there's a simple material that can help--museum wax. Museum wax which is sometimes referred to as tacky wax, helps modelers fix accessories in place without permanently gluing an object to a figure. Museum wax is a reliable, removable soft wax, which has tacky properties when warmed that will help hold small items securely on walls or shelves or in other parts of displays. Museum wax is sold under several brand names, including quake wax, tacky wax, mini hold, and other names. It is a crystalline wax, which is very tacky when warmed in your hands. It is traditionally used to position items on shelves in museums, but it can be used by a miniaturist to hold tiny items firmly in displays, leaving them to be moved at any point in the future without damage. The wax is available in several formulations. Besides the slightly opaque wax, form there is a clearer gel form for use with clear glass objects. All forms are used in the same way. Simply create a small bead of the wax, and press the object into the bead on the surface where you want it to be held. The wax is especially useful for holding objects on wood, as it does not harm most wood surfaces, yet will adhere objects successfully. Clear gel forms are better for holding glass to glass as they do not show up as much as the slightly opaque wax form. The wax cannot be used where temperatures are high enough to cause it to soften. It is also not reliable for places where temperatures are cold enough to cause it to harden, when hard, the wax has limited or no holding capacity. It is best used to position objects so that jarring will not shift them, in normal household temperatures. It is not useful for securing miniatures for shipping because in unheated cargo containers it may become too brittle to withstand jarring or shock. 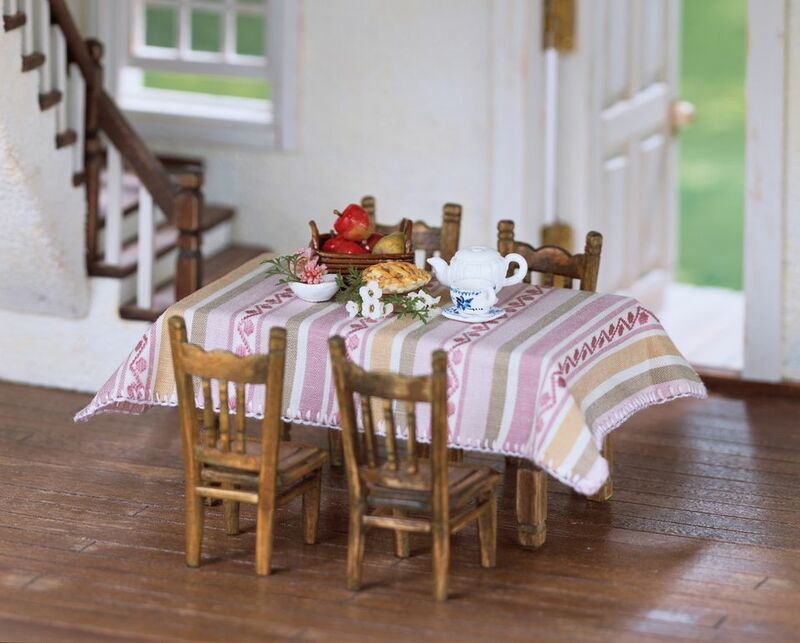 In dollhouses, it is often used to hold objects in the hands of a doll. It's also used to hold pictures on walls and position small items on shelves or tables. For gaming miniatures, it can be used to temporarily secure accessories to gaming pieces or to secure gaming pieces to smooth terrain. It can also be a useful way to secure small parts to a toothpick, tool, or desk while you work on them, helping to prevent them from blowing or rolling away. Items secured in place with museum wax can be easily removed by twisting them slightly. The wax can be used over and over again. Test a small amount of wax on an unobtrusive section of a miniature before applying a large amount of it to make sure it will adhere to the finish and be removed without causing damage. Another temporary holding material for miniatures is Moveable Miniatures Glue. It is similar to museum wax with a slightly more aggressive tack, but it does attract dust and dirt if the miniature is moved, and so can only be used where miniatures can be moved from one smooth clean surface to another.